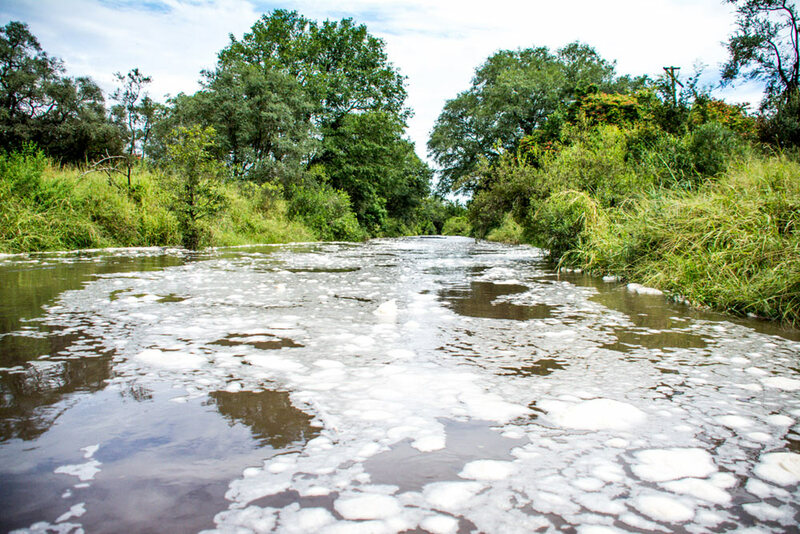 With a full average month’s rainfall falling within the first few days of March, Sabi Sabi was on high alert for flooding rivers, inaccessible bridges and washed away roads. The unseasonably heavy rain across South Africa caused havoc in many places, but did little to dampen the spirits of Sabi Sabi’s guests, who were witness to some spectacular and unusual wildlife sightings. 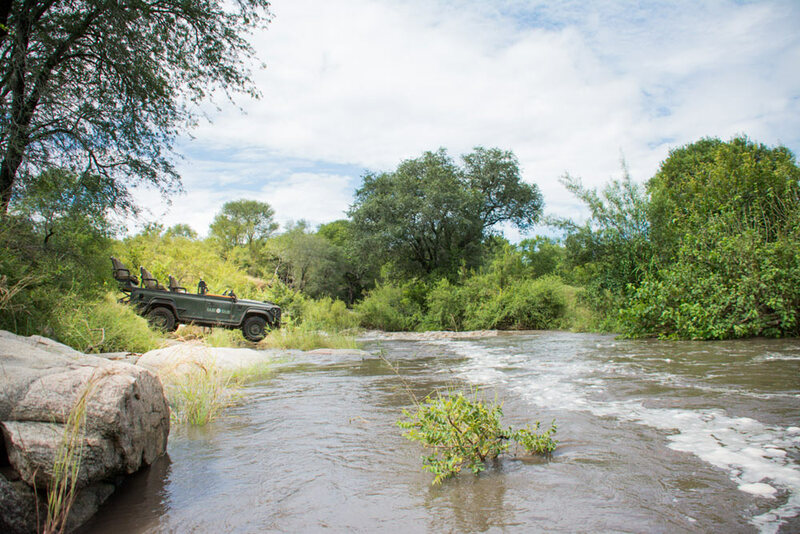 The Lodges’ infrastructure stood up well to the uncommon rainfall, lodge access was maintained thanks to the well managed roads and tarred airstrip and rangers and trackers made sure vehicles traversed safely. The rare sight of the generally dry Msuthlu Riverbed in full flood, raging through the reserve, had many enthralled – as did the levels of the Sabie River and the many dams, pans and waterholes which are brim-full or overflowing. Trees, grasses and bushes were heavy with raindrops and the bushveld was resonant with the noise of water dripping, flowing and surging. Miniature waterfalls sprung up overnight cascading down rocky outcrops and bursting over gullies, only to disappear again at the first sign of sunshine. During this time game sightings were spectacular. The pride of lions with five lionesses and six small cubs were seen daily as was the ‘other half’ of that pride comprising five females and a sub-adult male. 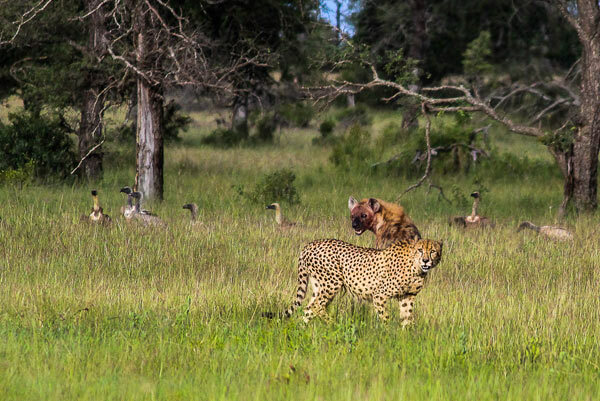 The ‘Warthog Wallow’ leopard ventured out with her very small cub, enchanting guests and guides alike; while a leopard new to Sabi Sabi, the ‘Xipoko Male’, killed a fully grown waterbuck. A rare and thrilling scene played out right in front of a safari vehicle when a male cheetah was chased of its kill by hyenas and vultures. Not only was the viewing great but the ‘Sand River’ lions were very vocal throughout this time, their deep throaty roars resonating across the reserve day and night. The ‘Kruger’ male lion, having braved the raging Sabie River to come back into the Sabi Sabi reserve, was also in full voice much to the delight of visitors from across the world. The sun has returned to much of South Africa, and at Sabi Sabi it has been business as usual despite the torrential downpour of recent days.